Herbert Slade was a boxer of Ngāpuhi and Irish descent. He entered the first New Zealand amateur boxing championships in 1880 and, though he did not win, organiser Jem Mace believed Slade had talent and took him to the United States. Slade fought the great American heavyweight boxer John L. Sullivan in New York in 1883, before a 130,000-strong crowd. At the time, black people were prevented from entering boxing bouts in the US due to racial discrimination, so the brown-skinned Slade was something of a curiosity for the boxing-going public. Slade was knocked out by Sullivan in the third round. The two men subsequently toured the US together. 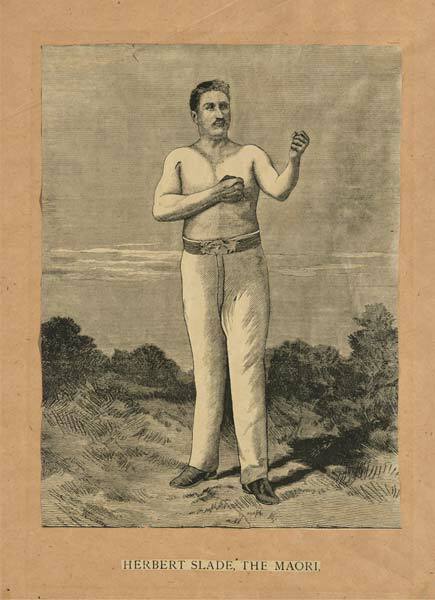 Though his boxing record was not distinguished, Slade is important in the history of New Zealand boxing as an international Māori sportsman in the 19th century. He was inducted into the Māori Sports Hall of Fame in 2011.